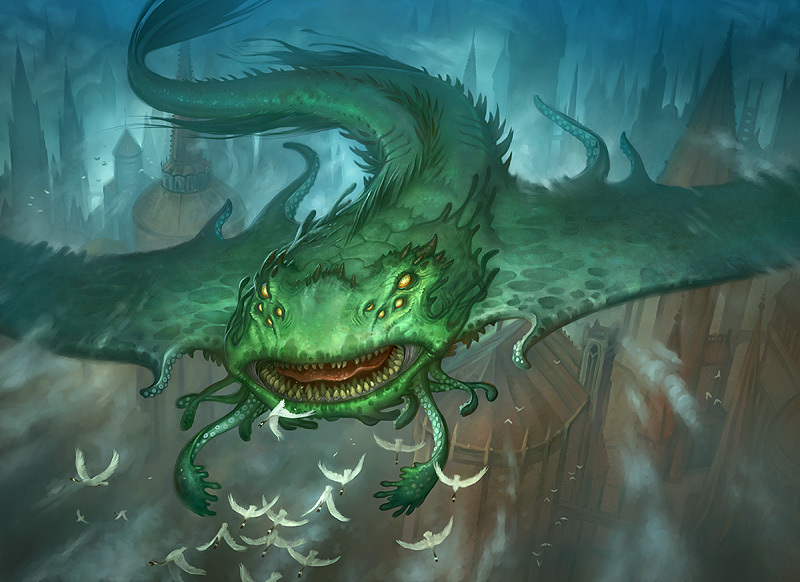 This is the Nimbus Skyswimmer, the last of my cards for the Magic - Gatecrash release. When I paint creatures, whether they be dragons, goblins or whatever it may be, I enjoy picturing them doing what would be natural. They can't always feast on delicate princesses and bold adventurers! Besides, too much satin and plate armor is bad for the gut. Skyswimmers will dine on the occasional flocks of fattened geese, just as dragons will chase down elk and moose, and goblins will binge frogs and slugs. For me, it adds a little tangibility and interest to the beast to try and picture how mother nature might have directed its instincts within their habitat. I hope you enjoy. Card 2 of 3 from the Magic: The Gathering - Gatecrash release. 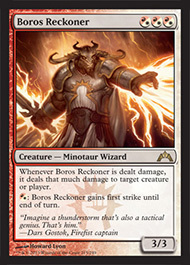 Boros Reckoner!